What if BUSINESS is the ADVENTURE of LIVING? What if BUSINESS was JOYFUL and FUN? What if it was so much more than you ever perceived possible? Available in paperback, ebook and audio book! Find out what no one else has ever told you about money! This course is designed to go beyond your technique, and to be used in addition to your technique, to facilitate you to a way of being with your clients that creates more change than you thought was possible and to have more fun doing it than you may have imagined. This course is for anybody who works with people and knows there is a different change possible. 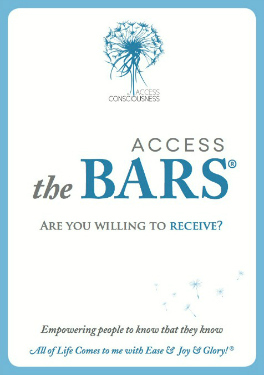 Ready for your Access Bars business to expand with ease? 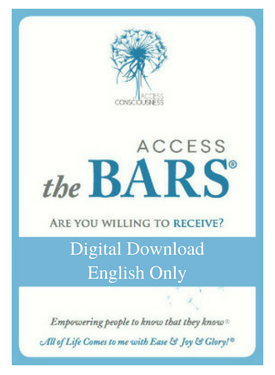 Are you looking for professional material for your Access Bars business? We're so excited to announce the brochure, business card, email signature, postcard flyer, expo banners and more are ready to go to work for YOU! Also available in: French, German, Italian, Portuguese, Spanish & Turkish. What if there was an easy way to let go of all the thoughts, feelings and emotions that keep you stuck in your head? Join Brendon Watt for one-of-a-kind Access Bars Class, live-streamed worldwide from Australia! This class will count as an official Bars Class in your record if taken live with another paid person. How does it get better than that? What if it’s possible to change anything? What if you know something that no one else knows? What if now is the time to express and choose everything you came here to be?